My GM-screen is now filled with vital GM tables and lists, I've only used the complete screen in action once this far but it a great help while planning aswell to lookup basic damage for monsters etc. Go figure: Miniature painting underway! 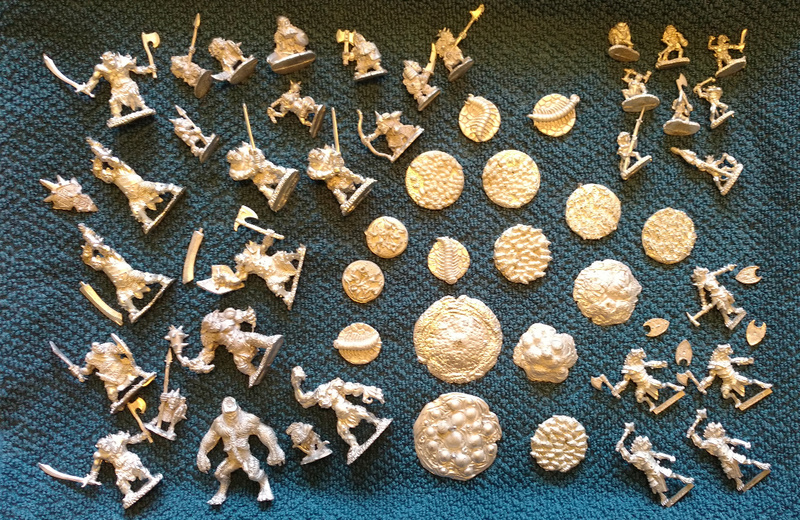 After using the same unpainted goblin miniatures for the third encounter in a row I realized I will need to get more miniatures and also start painting to heighten the experience of tactical battle. I spoke to my neighbor who isn't in my game but is very interested and has run his own dungeon crawl a few years back. 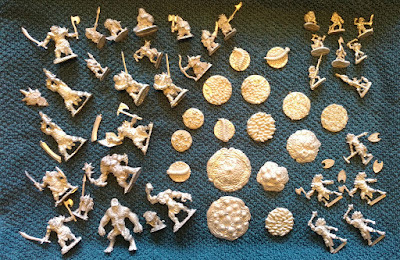 He told me he had a load of unpainted miniatures in his closet so I ended up buying about 50 of them, a nice collection of goblin-kin, gnolls, a bugbear, a troll, slimes and oozes, carrion crawlers, swarms and "dark ones" which I will use as kobolds. He and another friend also signed up to help me paint them during summer and also let's me lend his old miniature colors, files etc. So the last week or so I've bought they things he didn't have like spray paint, pencils and glue to be ready to start painting in the next couple of weeks.